Checkout this versatile ride from Mazda. The Mazda3 powertrain is equipped with a2.5 liter DOHC engine with Variable Valve Timing with only 128K miles on theodometer. This car is equipped with a 5 speed sport automatic transmission withthe ability to go into manual mode. The cloth bucket seats are comfortable andsupportive for long drives. With the comfort of a sedan this car is able tohaul larger items without having the size of an SUV. 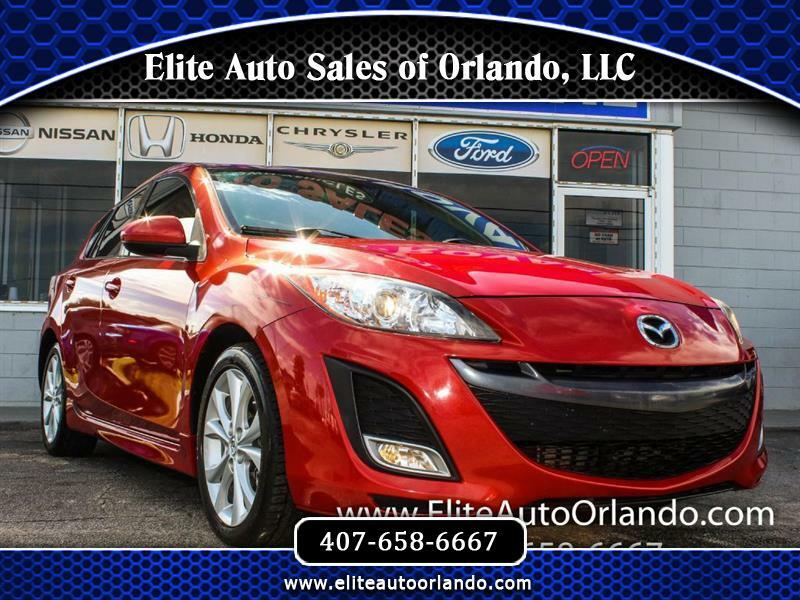 This is a great car forsomeone who is in need of a practical and versatile car.Elite Auto Sales of Orlando will strive to provide complete satisfaction for all customers. Our friendly staff presents total openness and caring solutions to make your transition into your new vehicle as smooth as possible. We are a Florida licensed automobile dealer and have an on-site mechanic shop where all vehicles are inspected and serviced. Call us now at (407)658-6667 or fax us at (407) 275-6676. We offer 100% loan approval and guarantee satisfaction from our friendly staff.